Here's the first episode of Living the Dream TV where I'll be following five online tournament champions that won their way to the CPT poker tournament in Punta Cana. 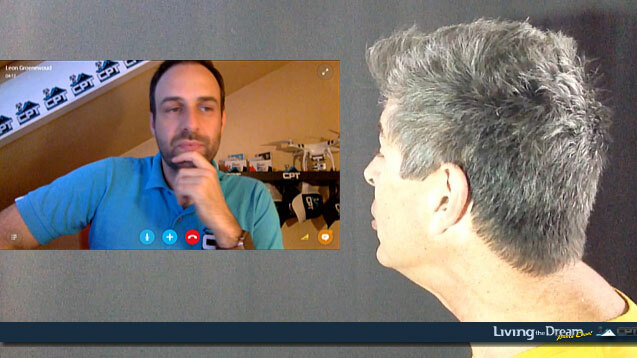 In the first episode, I speak with CPT Punta Cana organizer Leon Groenewoud. He looks forward to the event at the Hard Rock Casino next week and speculates on how our players -- Daniel, Derek, Neal, Steven and Phil -- will do at the live poker tournament. I'm going to Punta Cana with this group of primarily online players to help them share their experience at the live poker tournament. I'll be publishing daily video reports here and on the Living the Dream poker player blog during the CPT Punta Cana tournament, November 4 – 8, 2015. I’ll have tournament results as well as interviews with the Living the Dream players and other players at the tournament. I’ll also follow them around with my video camera as they enjoy the resort! 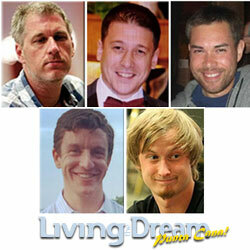 The five online tournament champions that have won their way to the Caribbean are: 32 year old Austrian poker pro, Daniel Montagnolli; Neil Slade, a builder and recreational poker player from Hampshire UK; Derek Scallon, a Chicago poker pro and film producer, Steven Loney, a businessman who plays poker for fun, and Phil Cardella, a Pittsburgh CAD designer and purely recreational player. CPT Punta Cana will be at the luxurious five-star Punta Cana Hard Rock Casino and Hotel November 3rd to 8th. Last November, American poker pro Ari Engel defeated a field of 507 to claim the trophy and $177,045 for his victory in the 2014 Punta Cana Poker Classic. Cheap, direct flights from North America as well as the mix of amateur and pros make the CPT Punta Cana an event not to be missed. Living the Dream TV, Episode 2 (The Team Arrives in Punta Cana) will be online November 4th.